Jordin Sparks has released her third album. “Right Here, Right Now” – featuring singles “It Ain’t You,” “Double Tap” and “They Don’t Give” – is now available for download via iTunes in partnership with Sony Music Entertainment’s newly-launched imprint Louder Than Life Records. The project was executively produced by Salaam Remi, whose other credits include Leona Lewis (“Forgiveness”), Ella Henderson (“Hard Work”), Jazmine Sullivan (“Dumb”) and Mack Wilds (“Own It”). Other album producers include Dem Jointz (Rihanna, Dr. Dre), Key Wane (Beyonce, Jhene Aiko), DJ Mustard (Tinashe, Keyshia Cole), Jonas Jeberg (Cassie, Jason Derulo), Crada (Drake, Marlon Roudette), D’Mile (Ciara, Mali Music) and The Underdogs (Tamar Braxton, Jennifer Hudson). On the songwriting front, Sparks has teamed with Babyface (Tamia, Katharine McPhee), Meleni Smith (Selena Gomez, Alicia Keys), James Fauntleroy (Usher, Chris Brown), Victoria Monet (Nas, Fifth Harmony), Nikki Flores (Jojo, Christina Aguilera) and Marlon “Hookman” Bonds (Zendaya, Jason Derulo). Watch the music video for “Right Here, Right Now” below. Jordin Sparks has debuted a new song online. The singer/songwriter posted the audio clip for “Boyz in the Hood” to her Vevo channel on Wednesday (August 12, 2015). “Boyz in the Hood” was co-written by Marlon “Hookman” Bonds and produced by Jonas Jeberg, who are also responsible for Zendaya’s “Putcha Body Down” [Hollywood] and Jason Derulo’s “Marry Me” [Warner Bros]. Sparks’ next studio collection “Right Here, Right Now” – featuring singles “Tap That,” “It Ain’t You” and “They Don’t Give” – is slated to hit stores on August 21 through Sony Music Entertainment’s imprint Louder Than Life Records. Other album contributors include Salaam Remi (Usher, Elle Varner), Babyface (Beyonce, Mariah Carey), Key Wane (Big Sean, Ariana Grande), James Fauntleroy (Cassie, Jhene Aiko) and Dem Jointz (Dr. Dre, Janet Jackson). Listen to the audio clip for “Boyz in the Hood” below. 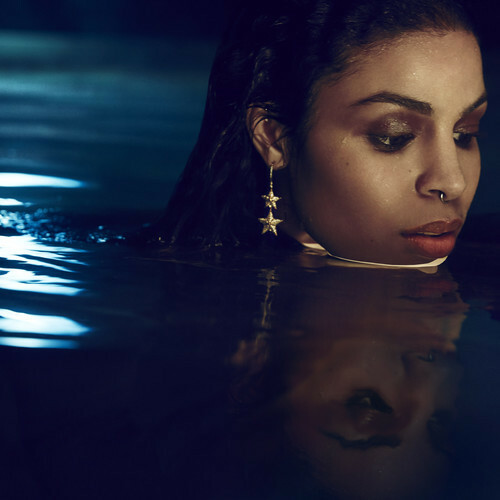 Jordin Sparks has unveiled the music video for her new single online. The singer/songwriter posted the visual clip for “They Don’t Give” to her Vevo channel on Monday (August 10, 2015). “They Don’t Give” was co-written by Kenneth “Babyface” Edmonds, whose recent credits include Tamar Braxton (“Where it Hurts”), Colbie Caillat (“Try”), Celine Dion (“Always Be Your Girl”) and Samantha Jade (“Shake That”). Production duties were handled by Salaam Remi, who is also responsible for Ella Henderson’s “Hard Work” [Syco Music], Mack Wilds’ “My Crib” [Larger Than Life Records] and Miguel’s “Face the Sun” f/ Lenny Kravitz [RCA Records]. Sparks’ third studio collection “Right Here, Right Now” – featuring previous singles “Work from Home,” “100 Years,” “Double Tap” and “It Ain’t You” – will be released on August 21 through Louder Than Life Records. The follow-up to 2009’s “Battlefield” boasts further contributions from Meleni Smith (Beyonce, Alicia Keys), Victoria Monet (Nas, Fifth Harmony), Elijah Blake (Ciara, Keyshia Cole) and James Fauntleroy (Cassie, Jhene Aiko). Watch the music video for “They Don’t Give” below. 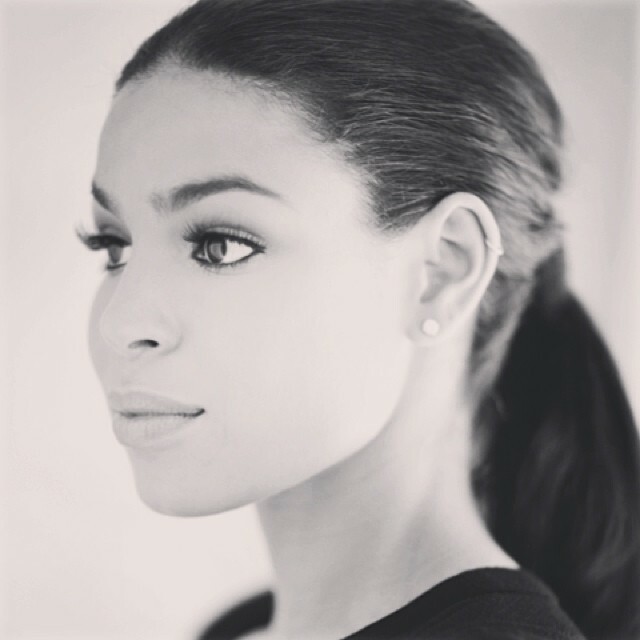 Jordin Sparks has shared a new song online. The singer/songwriter posted the audio clip for “Work from Home” – featuring B.O.B. – to her Vevo channel on Friday (August 07, 2015). “Work from Home” was co-written by James Fauntleroy, whose other credits include Rihanna (“Firebomb”), Beyonce (“No Angel”), Justin Timberlake (“Take Back the Night”) and Leona Lewis (“Don’t Let Me Down”). Meanwhile, production duties were collectively handled by Key Wane (Ariana Grande, Jhene Aiko) and Salaam Remi (Craig David, Mack Wilds). Sparks third studio album “Right Here, Right Now” – featuring previous singles “They Don’t Give,” “100 Years,” “Double Tap” and “It Ain’t You” – is scheduled to hit stores and digital outlets on August 21 through Louder Than Life Records. Additional album contributors are Dem Jointz (Dr. Dre, Marsha Ambrosius), Jonas Jeberg (Cassie, Alyxx Dione), D’Mile (Ciara, Wynter Gordon), Crada (Drake, Alicia Keys) and DJ Mustard (Omarion, Britney Spears). Listen to the audio clip for “Work from Home” below. The singer/songwriter posted the audio clip for “They Don’t Give” to her Vevo channel on Friday (July 31, 2015). Production duties on “They Don’t Give” were handled by Salaam Remi, whose other credits include Jazmine Sullivan’s “Numb” [RCA], Mack Wilds’ “My Crib” [Louder Than Life] and Ella Henderson’s “Hard Work” [Syco Music]. The track was co-written by Kenneth “Babyface” Edmonds, who is also responsible for Tamar Braxton’s “Where it Hurts” [Epic], Colbie Caillat’s “Try” [Republic] and Samantha Jade’s “Shake That” f/ Pitbull [Sony Music Australia]. Sparks’ upcoming third album “Right Here, Right Now” – featuring previous singles “It Ain’t You” and “Double Tap” – will hit stores on August 21 through iTunes in partnership with 19 Recordings and Louder Than Life Records. The follow-up to 2008’s “Battlefield” boasts further contributions from Dem Jointz (Janet Jackson, Christina Aguilera), Key Wayne (Big Sean, Jhene Aiko), D’Mile (Rihanna, Wynter Gordon), Jonas Jeberg (Cassie, Chris Brown), DJ Mustard (Tinashe, Justin Skye) and Crada (Drake, Alicia Keys). Listen to the audio clip for “They Don’t Give” below. The singer/songwriter posted the audio clip for “100 Years” to her Vevo channel on Thursday (July 23, 2015). Production duties on “100 Years” were handled by Key Wane, whose other credits include Ariana Grande (“Best Mistake”), Beyonce (“Partition”), Jhene Aiko (“Eternal Sunshine”) and Jazmine Sullivan (“Let It Burn”). As mentioned in earlier posts, Sparks’ third studio collection “Right Here Right Now” will hit stores on August 21 through Louder Than Life Records. Current single “Right Here Right Now” – now available for download via iTunes – was co-written by James Fauntleroy (Rihanna, Mariah Carey) and produced by Dem Jointz (Brandy, Janet Jackson). Other album contributors include Salaam Remi (Usher, Mack Wilds), D’Mile (Ciara, Wynter Gordon), Crada (Drake, Alicia Keys), Jonas Jeberg (Kelly Rowland, Chris Brown) and DJ Mustard (Tinashe, Justine Sky). Listen to the audio clip for “100 Years” below. Jordin Sparks has unwrapped the tracklist for her upcoming third album. The singer/songwriter is scheduled to release “Right Here Right Now” on August 21 through Sony Music’s newly launched imprint Louder Than Life Records. 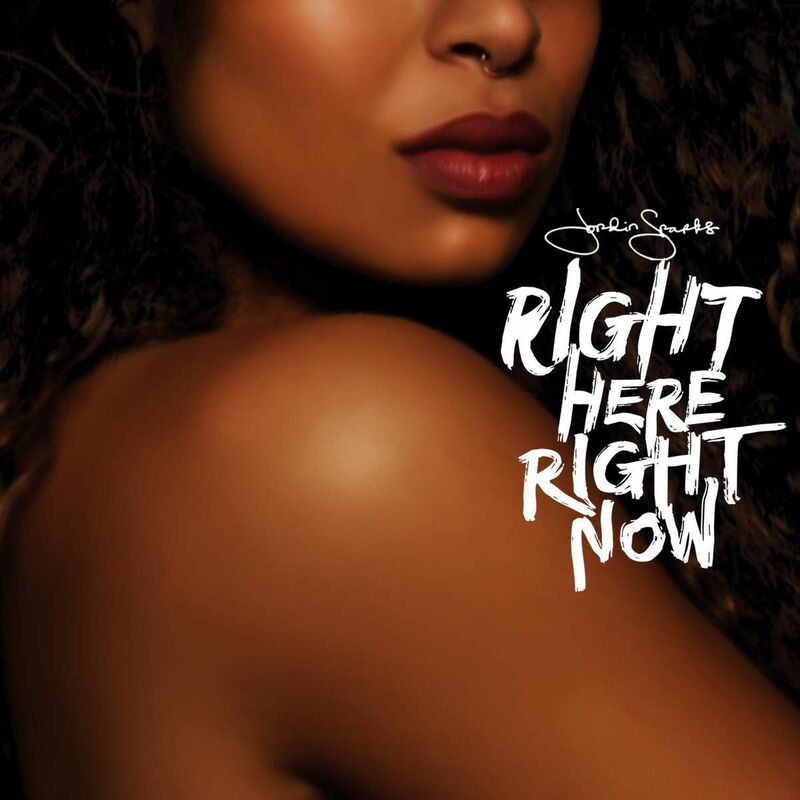 Current single “Right Here Right Now” – now available for download via iTunes – was co-written by James Fauntleroy (Beyonce, Justin Timberlake) and produced by Dem Jointz (Janet Jackson, Christina Aguilera). The follow-up to 2009’s “Battlefield” is executive produced by Salaam Remi, whose recent credits include Treasure Davis (“I Just Can’t), Miguel (“Face the Sun”) and Jazmine Sullivan (“Dumb”) and Ella Henderson (“Hard Work”). Other album contributors include Jonas Jeberg (Cassie, Jason Derulo), Elijah Blake (Usher, Kelly Rowland), DJ Mustard (Rihanna, Charli XCX), Crada (Drake, Alicia Keys) and Dewain Whitmore (Usher, Chris Brown). Peep the tracklist for “Right Here Right Now” below.